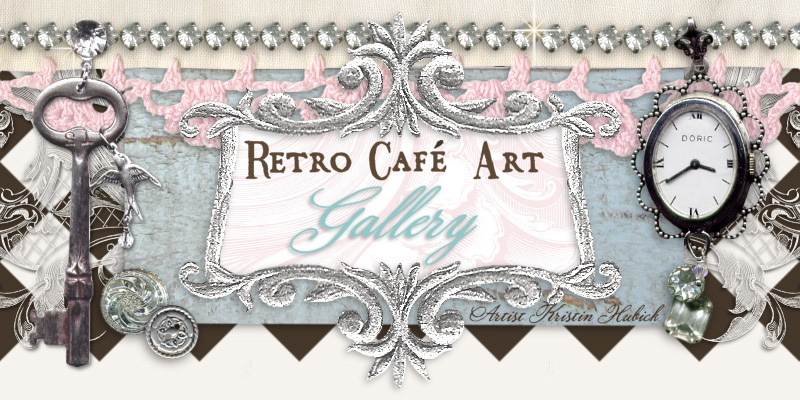 Retro Café Art Gallery: VerDay Paint Fun! Hi everyone! 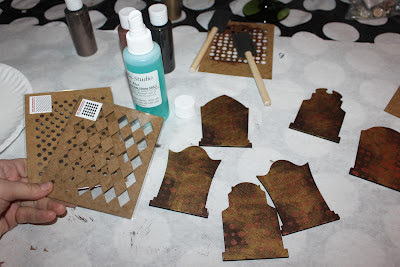 This weekend I played with our new VerDay Paints and Patina by Ten Seconds Studio and O.M.G. they are amazing! I made the little guys above. The backgrounds look complicated, but in fact, they were very easy. Come see! You will of course need the VerDay Paint Set, a sponge brush or paint brush, a paper plate, and something to paint! 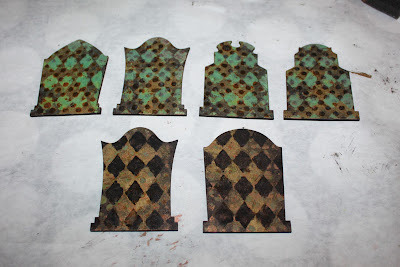 I used our Gothic Tombstone ATC Bases. The paint will work on just about anything. Paper, wood, canvas, fabric, etc. Following the directions on the paint set, I started with a base coat. This can be whatever color or colors you choose. I used the Brass and Bronze to start, randomly placed. A quick note, this paint works like a dream on our masonite pieces and Shrine Kits. Just one coat gives excellent coverage and it goes on super smooth. 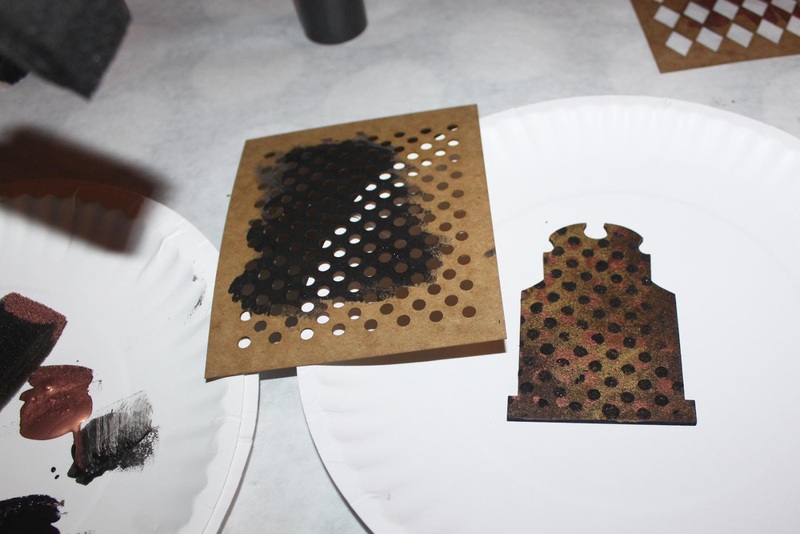 Next I did some stenciling on my base coat with the the Small Onomotoholes Stencil and my sponge brush. 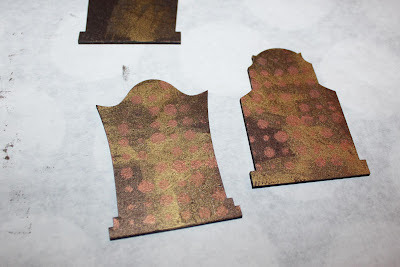 For the stenciling I used the Copper paint. At this point I was satisfied with my base coat and decided it was complete. Of course you don't have to stencil. The patterns can be completely random, however as you will see later it made for great texture. 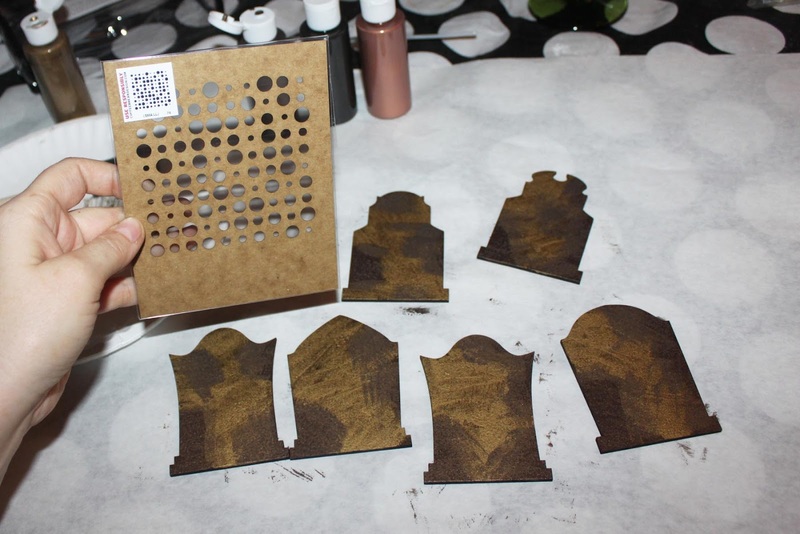 Once your base coat is finished, you will let it dry for at least one hour (this was the hardest part for me...ha!). After an hour, it was time for the top coat. 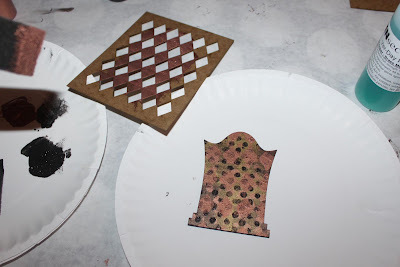 Again I broke out some stencils, this time the Small Diamond, and Half Two Stencils. Make sure you have your Patina spray handy because you will spray the Patina on while your top coat is still wet. The Patina does come with a handy spray nozzle. For my top coat I used the Iron Paint. 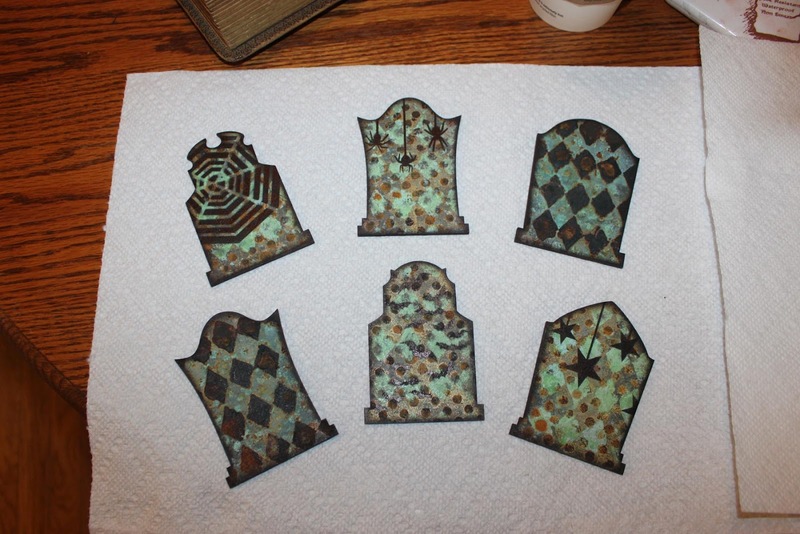 I layered the Copper paint next, while the Iron paint was still wet, and then sprayed on the Patina. I used 3 pumps per tombstone so they were fairly saturated. 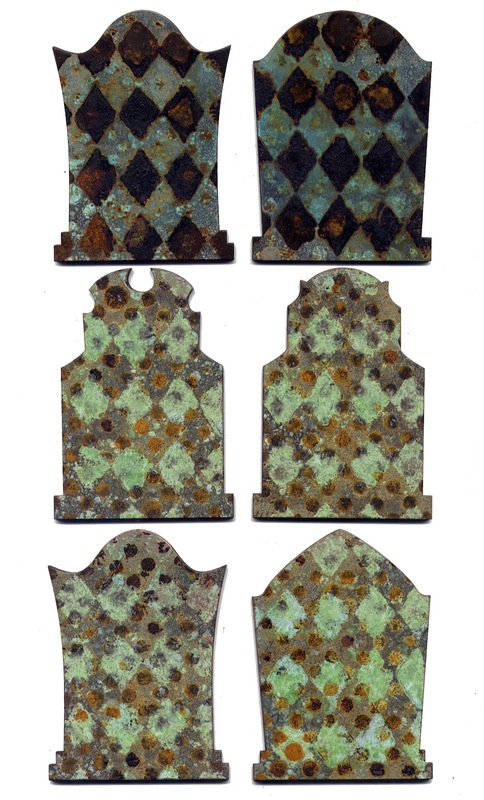 For less patina, use less spray. I also alternated my 2 top coat colors on a few of the tombs. Again, you can use any color combinations you would like. Even 1 color would look fantastic after the Patina is applied. Some of the paint started to turn immediately. This photo was taken after about 15 minutes. The full cure time can take up to 6 hours. I just let mine sit overnight. The base coat and the top coat will both patina to some extent, however the top coat will be more intense. The fun part about this paint is that it will never turn out the same twice! 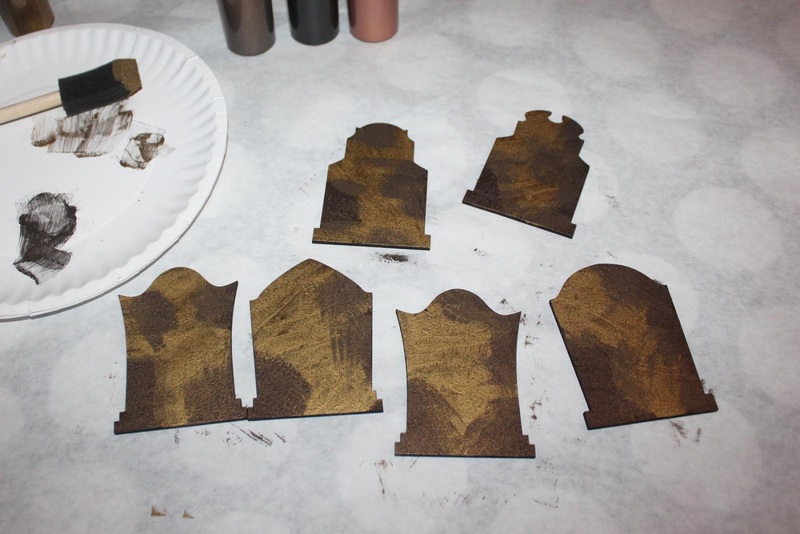 The Iron paint will "rust" while the Brass, Bronze, and Copper will show bluish-green patina. I love how the two look combined, but again, the combinations are up to you! You can also go back over your pieces and repeat the steps if you want a different look. This was my first time playing with the VerDay Paints, and I was very pleased with the results. This is what I found in the morning. I was in love. 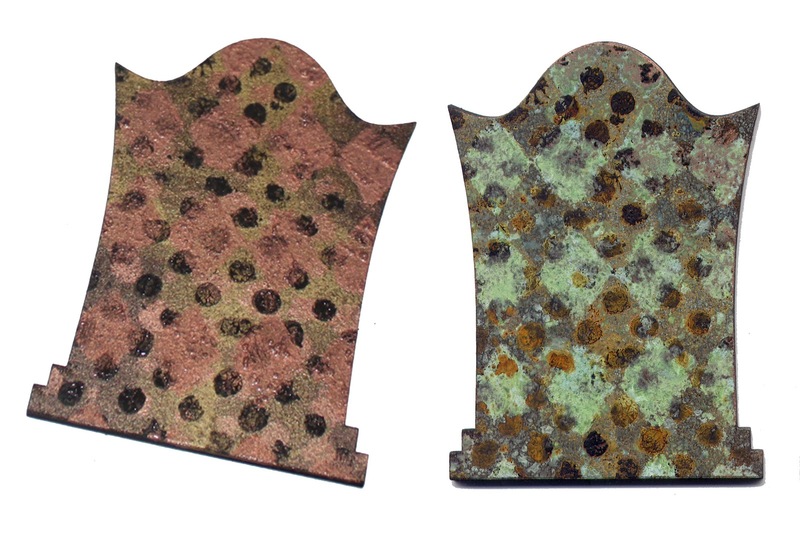 Here is a before and after the patina was applied shot of the same piece. Pure magic! Though I must say the paints are pretty gorgeous on their own too. 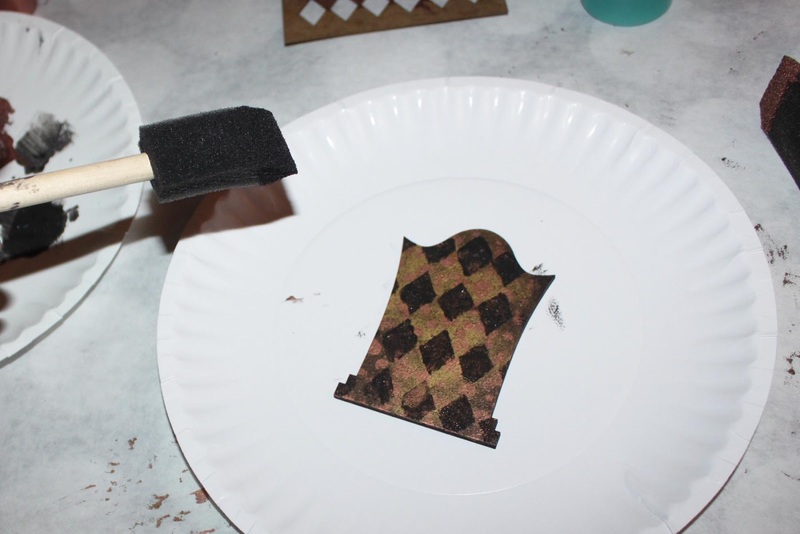 Time to embellish! You may note a scenery change at this point. I was at an art play date with Bianca Mandity and Tori Weyers, both extremely talented artists. What I fun day we had. I inked the edges using black and brown archival inks and then did some stenciling on a few of the lighter tombs using the small Diamonds Stencil, Falling Star Border Stencil, Bat Camp Stencil, and Web and Corners Stencil. 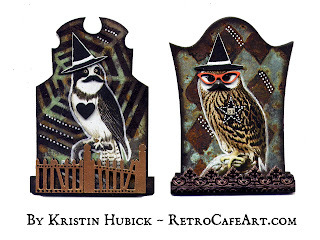 ﻿And here are my finished Tombstone ATCs! To embellish, I used our Owl Paper-Cuts, Glasses Cut-Outs (the hearts and stars are the extra pieces from the glasses), Moustache Cut-Outs, Witch Hat Cut-Outs, Gothic Fence Cut-Outs, Black Baroque German Dresden Border, Brown Baroque German Dresden Border, Mod Podge to attach everything, and a Sharpie Extra Fine Paint Marker. 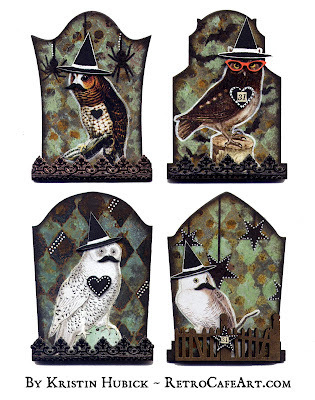 There's just under 3 weeks left to join in our Tombstone ATC Swap! Plenty of time to get your tombs and join in. And yep, I'm going to swap the guys above. I would love to see your VerDay Paint creations once you've played too! Wow! Thanks for the shout out! These owls look amazing! I cant wait for my new paint to arrive so I can play too! Great tutorial!! 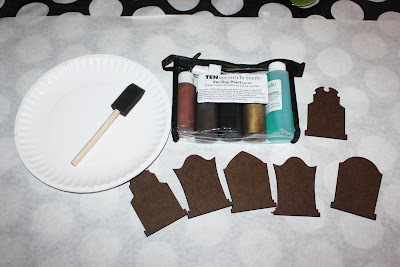 Have always loved TSS metal, but never have tried their paints. Cheryl is just a great artist and teacher. Looks like I need ONE MORE THING from RCA!!!!!!! !